Greetings from Casablanca…wish you were here! Photo above of the Hassan II Mosque in Casablanca, the third largest mosque in the world. Taken in April 2011. 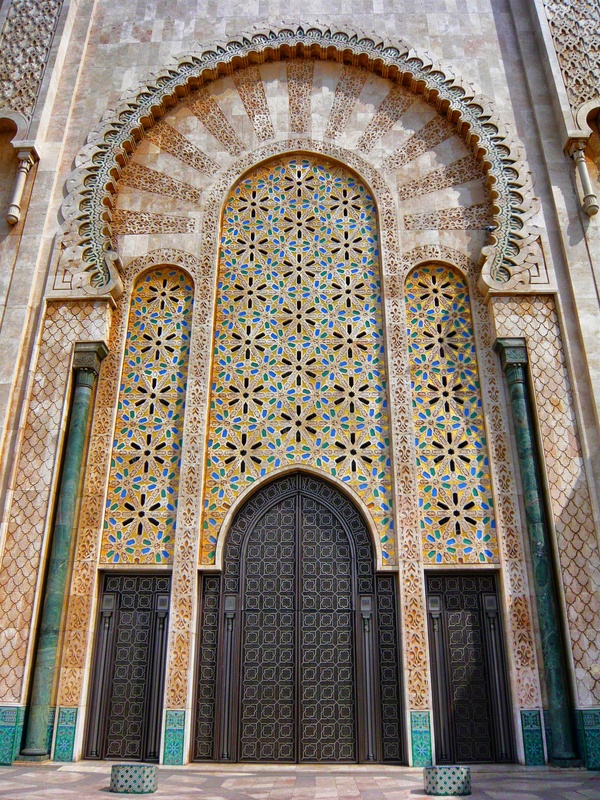 During a volunteer trip to Morocco, I hired a guide for the day and took a tour of Casablanca. We spent the morning at the Hassan II Mosque and lucked out to be the only people inside it. It was enormous and quite spectacular. It was my first time inside a mosque and shed some light onto my learnings about Islam and the Muslim religion. To read more, click here.